Visit Ouarzazate and experience a holiday that will enlighten your spirits and introduce you to cultures you have never known. Come visit a land that is as old as the surrounding Sahara Desert. Engulf in golden rays reflecting off enormous sand dunes. Visit ancient wonders, embrace the rich cultures of the locals, and discover some amazing cuisine that you might not have ever experienced before. Take a tour of the Sahara and feel their ancient ancestors all around you. Ouarzazate is a city located south of the High Atlas Mountains in Morocco known as the gateway to the Sahara Desert. With an elevation of 1,160 feet, Ouarzazate is in the centre of a plateau just south of the Atlas Mountains. The locals who built many of the kasbahs and other buildings are mostly Berber speaking people. This area is known as a critical film location which has attracted many international film companies for many years. Some of the best-known films are Lawrence of Arabia in 1962, The Mummy in 1999, The Last Temptation of Christ in 1988, and so many more! Ouarzazate means “Quiet Place” and in comparison to other Moroccan cities, it truly is a place of incredible calm and quite. One of the largest tourist attractions that sit right outside the city is the Sahara Desert. The enormous Taourirt Kasbah is a 19th-century palace that offers amazing views all across its rugged landscape. While visiting Ouarzazate, take a trip outside the city and visit the Todra Gorge which will take your breath away! Stop by nearby villages and local kasbahs and take in the rich culture. You will have absolutely no problems getting to the city. There is an airport literally on the outskirts of the city and many road connections that will get you there very quickly. To fly to the airport, you will have to catch a flight on Royal Air Maroc which is located in Casablanca. 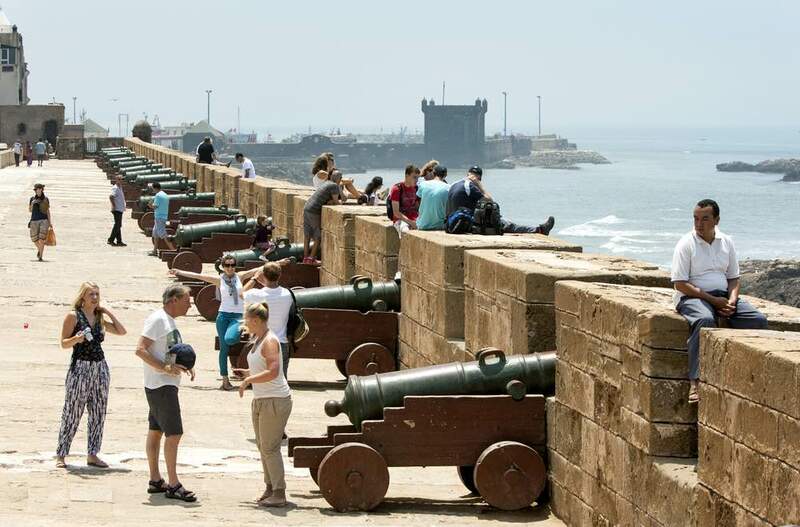 You can get a flight to Casablanca directly out of Heathrow and Gatwick. Flights on Royal Air Maroc run twice a day and take approximately one hour in flight. Many tourists will come to Ouarzazate via roads. Some buses and taxis will get you there very quickly as well. While travelling to the city, sit back and enjoy the gorgeous views of the Atlas Mountains. Due to the continual traffic of Hollywood celebs, directors, and producers, Ouarzazate has some of the finest guesthouses and hotels. Whether you are on a budget or want to pamper yourself in 5-star luxury, there is something for everyone. Due to the fact that this area is well-known for Hollywood films, there are many luxurious places to stay as well. You might want to stay at a kasbah with everything laid out before you, enjoy 24/7 service, a private chauffeur, and exquisite hand-crafted foods. All this and more at a very affordable price. Maybe you would like to experience staying in a palace loaded with history and luxurious furnishings! Their 5-star hotels offer old and elegant or new and stylish and all have world-class accommodations and service. Visit the Musee Theatre Memoire de Ouarzazate which is dedicated to teaching visitors about the culture and preservation of their values and traditions. There are many wonderful exhibits to see including tools, written documents, and clothing. You will get a fascinating look at the inhabitants that were pre-Saharan Moroccan. Enjoy the many kasbahs and take a tour of their buildings that were built centuries ago. This is a place that is very proud of its history and traditions. Also, if you plan your holiday correctly, you will be able to take part in one of their wonderful festivals. Visit the Sahara Desert and the Atlas Mountains for adventurous activities while enjoying the stunning views. If you head east from Ouarzazate, you will be amazed at the beautiful golden sands of the desert. Take a ride on a camel or on horseback to take in the scenery. Others enjoy trekking on foot trails and feeling the sands beneath their feet. Many tour companies will guide you through the nomadic Amazigh lifestyles. Sleep under the stars and then arise to the magnificent golden rays of the sun. It’s a must that you visit the ancient Ksar of Ait Benhaddou which is very close by and explore to your heart’s content. You will probably quickly recognize this area as it has been a part of many a Hollywood movie. Trips for you and your family should include the opportunity to spend the night in an Amazigh tent engulfed in huge dunes. Spend the day riding a camel in the desert and view gorgeous gorges and enormous mountains. Both adults and children will love visiting the Atlas Film Studios and see the sets and props used in various films and television shows including Game of Thrones, Atlantis, and The Kingdom of Heaven. Your kids will get a real kick out of it! For adventure enthusiasts, enjoy a real challenge by trekking the dunes of Chigaga. For the less experienced, walk along with the nomads for a while. You will have the opportunity to join their seasonal migration across the mountains. This trip lasts for a day or up to two weeks, and there are many local companies that have the experience to offer you a wonderful trip. The town offers many rental bike services and excursions with a local guide taking you into the desert and mountain areas. Be sure and visit the fortress of red clay, Ksar of Ait Benhaddou or the Kasbah of Tifoultoute that once belonged to the family of Thami El Glaoui, the Pasha of Marrakech (1912 -1956). Traveling from Marrakech to Ouarzazate you will run into the Tizi-n-Tichka Pass which is a major highway that stretches from the Red City, through Ouarzazate, and on to Zagora. You will find a strip of road that travels through the Atlas Mountains. If this is for you, visit the Dades River for whitewater that will carry you from the High Atlas and joining up with the Ouarzazate River. You will be engulfed in lush green surroundings blending with sand and rock. Dades Gorge is a stunning place with fantastic rock formations and kasbahs that have been there for hundreds of years. Take it all in and enjoy! 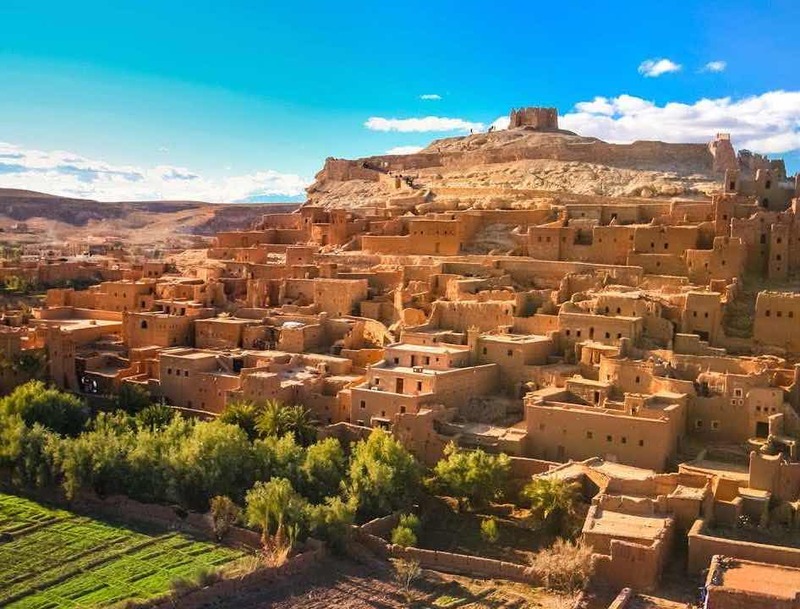 The surrounding areas of Ouarzazate have incredible valleys, oases, and desert. The city literally has thousands of things to do and be a part of. From exploration enthusiasts to movie stars, after a long day of activities, everyone wants a place to rest and build a second wind. What better place than at their hammams which are mostly traditional and have been for centuries. After spending a long and exhaustive day in the desert, who wouldn’t want to rest in the stone chambers of the local hammams? If you simply want to get away from the hustle and bustle of city life, visit retreats surrounded by palm trees, mountains, and sand dunes. You will easily wash away your stress and headaches of a normal day. Enjoy a soothing Jacuzzi, and tranquil swimming pool to escape the heat of the desert. The surrounding natural beauty of Ouarzazate makes this the best place for a retreat! Ouarzazate is a place with a magnificent blend of Moroccan and Saharan culture that have existed side-by-side for centuries. Enjoy their local cuisine which reflects this wonderful blend of people. Visit their souks that offer unique spices that are used in many recipes in the local restaurants and cafés. You will find many traditional dishes served in domed pots of tagines which is a moroccan dish named after the earthenware pot in which it is cooked. Ouarzazate is also known for its unique Saffron which is an expensive spice, but you can get it there at a very reasonable price. This spice is made from the crocus flower which is known for its earthy essence and adds an incredible touch to many dishes. If you are looking for something a little more European, you will find many restaurants that serve pizzas and French cuisine. The first festival of the season is the Rose Festival that kicks off in May. 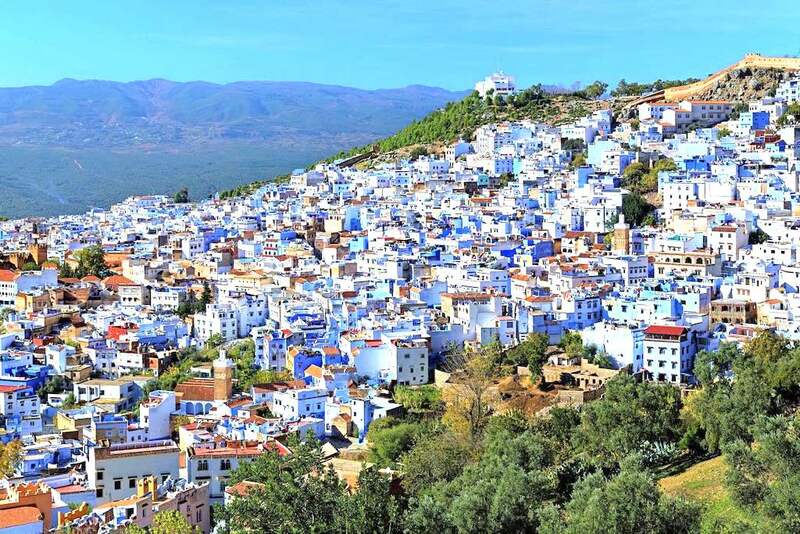 It is a very short drive from the city to Rose Capital of Morocco – Kalaat M’Gouna. This is a must for tourists to visit, you will be surrounded by miles of rosebushes that grow around the desert’s oasis and a profusion of colours and magnificent scents. Also, rosewater is a very cherished speciality throughout the area and it literally takes 3,000 kilos of petals to make just one litre of this wonderful water. During the Rose Festival, everyone dances and sings into the late hours of the evening. When the Rose Queen is selected, rose petals are raining from the sky. 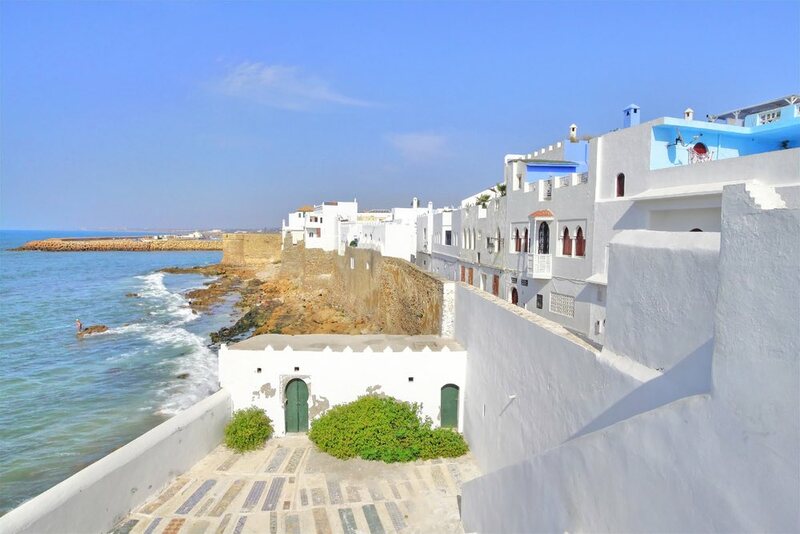 August is the month for the Moussem and the city celebrates Sidi Daoud with a pilgrimage and provides a special place for many craftsmen. For those who do not know, Moussem is the annual gathering of approximately 30 tribes from southern Morocco and other parts of Africa. This is a part of the traditional Berber culture and an annual fair of their culture. If music is your thing, you will enjoy an incredible blend of folk music and new-age music performed by the best musicians throughout the area. Enjoy Amazigh dancing along with Ahwash music which is an important part of the Amazigh culture. Enjoy poetry, songs, a lively music. If you would like to join in on this festival, make sure you book your holiday in September. This festival runs for 5 days! The magnificent city of Ouarzazate has been located on the edge of the desert for many centuries. Various trading sites on the south and north areas throughout the city made up of Moors, Amazigh, Arabs, and Muslims have left their mark on this ancient city. Only twenty miles outside the city, is the Ait Benhaddou which is holding the status of the UNESCO and is a must to see. This city is an amazing example of southern Moroccan architecture, so be sure and bring your digital camera or phone camera with you. While visiting this wonderful land, capture memories to share with others for years to come! Whatever your lifestyle or taste might run, you will not find a better place to visit than Ouarzazate. There is something for everyone, so book your next holiday in the city known as the “Quiet Place” but it’s really not all that quiet!